Improve your skills to get a better job, retrain for a new job, earn your high school diploma or a GED®, or improve your English, math or reading. Find an adult education program near you. 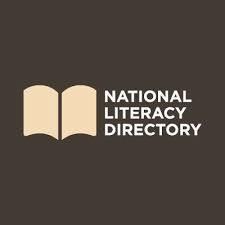 The National Literacy Directory launched in 2010 with funding from the Dollar General Literacy Foundation. It is designed to help individuals find local literacy and education programs and GED® testing centers in their areas. The National Literacy Directory contains over 7,000 educational agencies located across the United States. Another component of the directory is a toll-free number that individuals can call to get a local program referral. Dollar General has a long history of supporting literacy and basic education initiatives for adults, families, and youth. For more information about Dollar General’s support, visit www.dgliteracy.org. The National Literacy Directory Affiliate Partners Program was created to further support learners and volunteers in search of news and information about literacy and education programs. Our national affiliate partners are the GED Testing Service®, Coalition On Adult Basic Education, and the National Coalition for Literacy. Click here to find out more about this program.